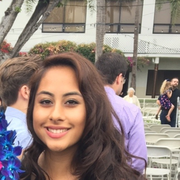 Hello, my name is Theresa Rico and I am currently going to Long Beach City College and I am majoring is psychology and I want to work in a field where I can help children. I have volunteered for the first babtist Church in LA as a children’s ministry assistant from ages 2-8. I also volunteered at Saint Joseph’s Camp Little Jesters as a counselor I supervised children in age groups 8-13 years old during camp hours, break time, lunch and field trips. This past summer I worked at Camp Wilderness as a Camp counselor and I was responsible for children 6 - 11 years old. I supervised them during camp hours, activities, field trips, break and lunch time . Every day I would give each parents a summary of their child’s day and take note of any bump and scratch (injury) the child had just to let the parents Read more know. Any fall or bump I would call the child’s parents to let them know what happened and have the child talk to their parents as well.